Walking seems like a relatively safe way to get around, but the data says otherwise. Between 2007-2016, nationwide pedestrian fatalities rose 27%, reaching nearly 6,000 in 2017. Although Massachusetts saw a small decline in pedestrian deaths from 2016 to 2017, the problem remains serious. More than 800 Massachusetts children are treated in emergency rooms or hospitalized each year as a result of pedestrian injuries. Unsurprisingly, most pedestrian fatalities occur in urban areas, where there is generally more congestion and activity. And, the vast majority occur on sunny or cloudy days, when people are more likely to be walking. The state of Massachusetts invested in a public information campaign to urge awareness among drivers, bicyclists and pedestrians, and efforts are underway to make certain roads and intersections safer for both motorists and foot traffic. However, the key to pedestrian safety lies largely with pedestrians themselves and the bicyclists, motorcyclists, and motor vehicle operators they share the roads with. 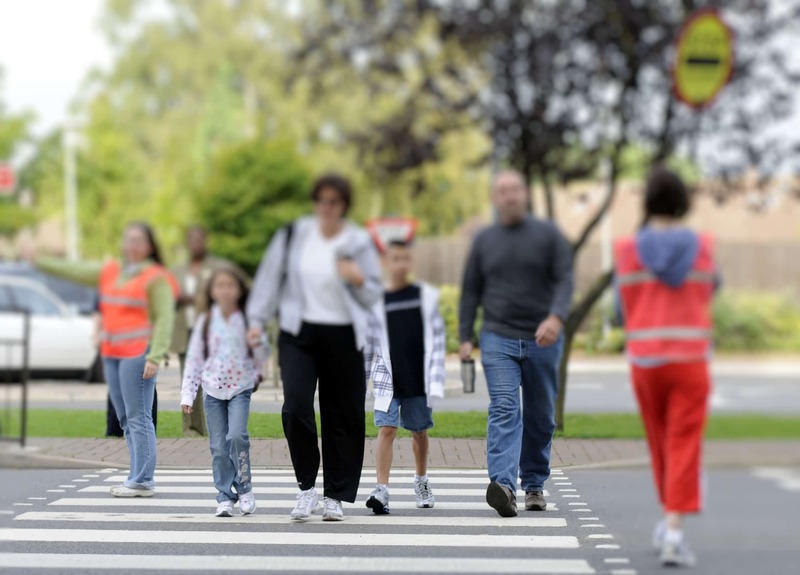 Never pass a car that is stopped at a crosswalk, and when you stop at a crosswalk allow plenty of room for pedestrians to cross safely and be visible to approaching cars. When you’ve been seriously injured in a pedestrian accident, you may be daunted by growing medical bills, uncooperative insurance companies, and short-term or long-term limitations on your income. There’s no reason to attempt to manage those issues on your own. Attorney Kevin J. Broderick has decades of experience in helping accident victims recover the compensation they need to move forward after an injury. Damages in pedestrian accident cases vary depending on many factors, such as the seriousness of your injury, the degree of fault attributable to each party, and your actual economic losses. Economic losses include medical bills, costs of therapy and rehabilitation, lost income, projected future limitation on earnings, and more. There’s no upside to delay: getting a knowledgeable advocate on your side can help relieve your stress, take tasks off your plate so you can focus on your recovery, and reduce the risk that an insurance company will mislead you into a mistake that could hurt your case. Just call 978-459-3085 or fill out the contact form on this site to get a free consultation. Even if you aren’t sure if you have a case, it is always better to call and ask.